Rather than two small stereo speakers in your OEM dash speaker position, how about one large, stereo converted speaker with dual tweeters? This unique speaker design sounds better than anything on the market that will fit most single dash speaker locations. Features 70% more cone area than dual dash top speakers. 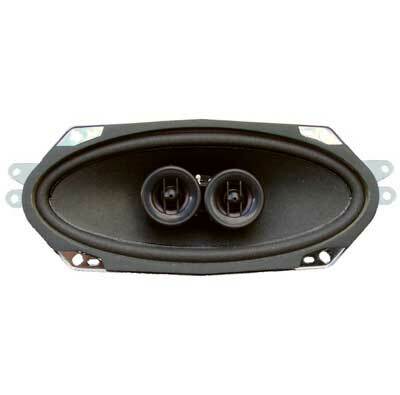 The extra large magnet, 140 watt capability and high tech construction make this our favorite choice for dash speakers in classic Mustangs! 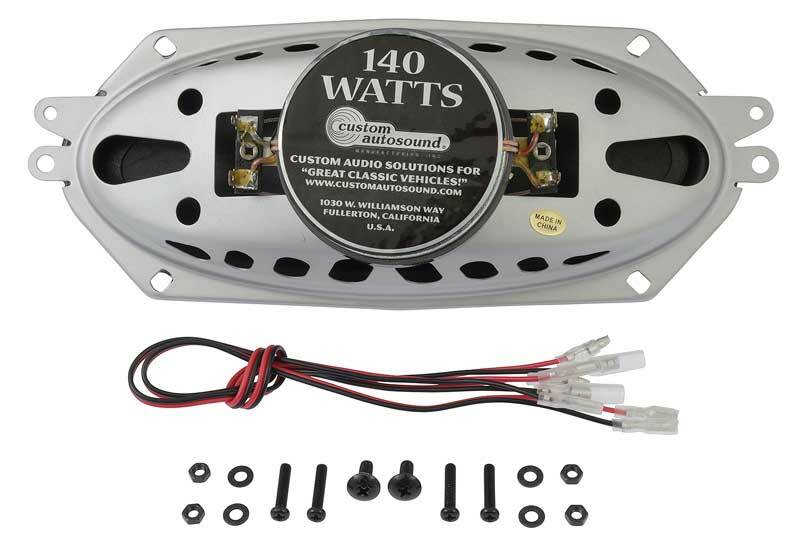 This speaker will replace the dash speaker in the 1965-66 Mustang as well as fitting the dash in a wide variety of other classic American vehicles.